Thirty-two years is a long time but it’s never too late to pay tribute to our teachers. 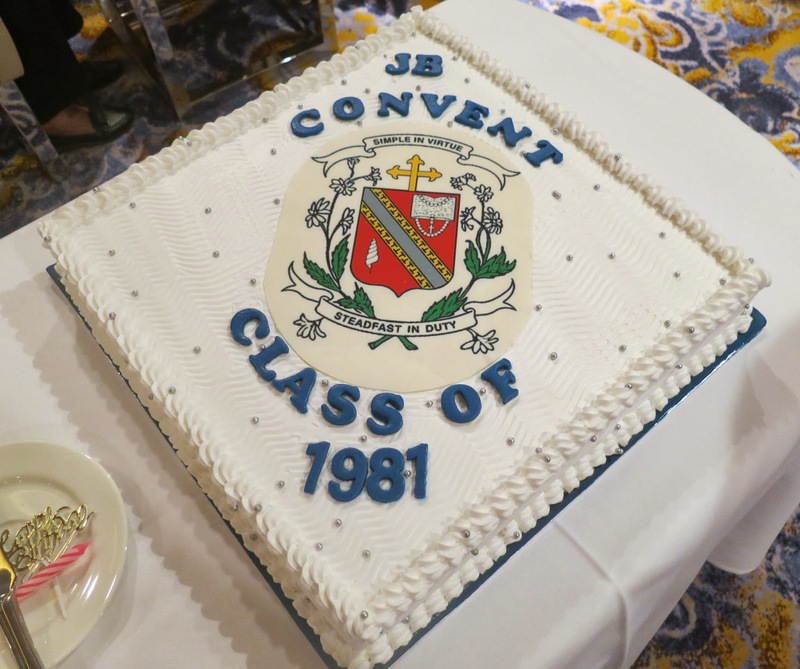 On Nov 30, 62 students from the class of 1981 in JB’s Convent of the Holy Infant Jesus met with 14 former teachers and two former school office staff at a reunion event. 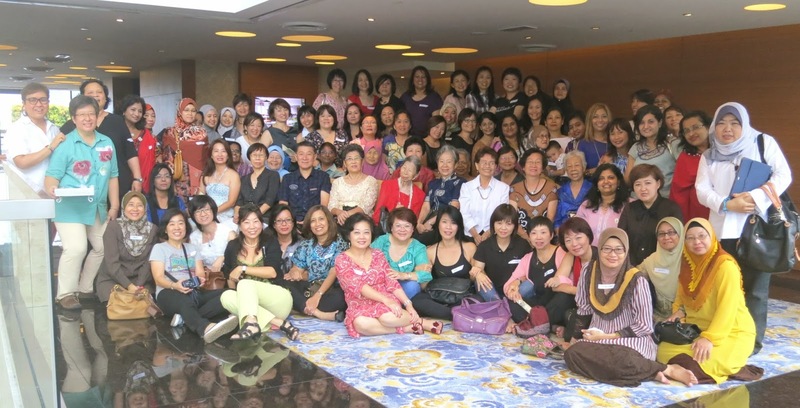 While many of the girls still live in Johor Baru, a number came from Kuala Lumpur and Singapore, Kota Kinabalu and Ipoh as well as two who travelled back from Guangchou and Shanghai in China to attend this reunion. After 32 years, many have changed their names when they were married and moved into different ranks as wives, mothers and even grandmothers. Yet the bonds of friendship that was formed in Convent JB is apparent as the girls embraced old friends and picked up from where they left off after they completed Form 5. This reunion is a preliminary event to garner as many who are keen to join their joint 50th birthday celebration in Langkawi in September 2014. The highlight of this event is to pay tribute to the teachers who have in many ways, moulded and mentored the class of 1981 to become successful and confident women today. A classic example is Angelene Chan, now a Singapore-based, award-winning female architect who was involved in a wide variety of challenging projects like The Dubai Mall, the world’s largest indoor shopping mall and Resorts World Sentosa’s Universal Studios Singapore theme park. Chan paid tribute to former Physics teacher, Cheng May Ping, who taught the fundamentals so well in Bahasa Malaysia language that she found it easy to switch to the English medium when she went for further studies in the university. It was an afternoon of reminiscing as the schoolmates recalled the roles of the former teachers and honoured them for an enduring legacy that has left a positive impact on their lives. While Mrs A. Y. Lim was their Form 1 Maths teacher, Mrs Diana Wang was their Form 2 English and Geography teacher. Wang was also their volleyball coach who always remained cool, calm and collected, even in very stressful situations. Many may not know that Amy Wong was also a Convent JB student in 1951 and she was in the first batch of teachers who were trained in the Malayan Teachers’ Training College in Kirkby, UK. She applied her Kirby-trained skills in both the Convent JB Primary and Secondary schools and always carried herself with poise as the epitome of fashion and British sophistication. Puan Hjh Bashariah Mohd Sharif, their Bahasa Malaysia teacher in Primary school was so gentle and kind and used to treat them like daughters while Mrs Josephine Louis is best remembered for her story-telling and the girls fondly remember how they used to sit close together to listen to her spine-chilling ghost stories! They girls agreed that the former Cecilia Chan who is now Mrs Lian, stills looks the same since the girls last saw her in school and how she is very articulate in her speech. They also recalled the inspirational speech that Girl Guides advisor, Theresa Loh, made before a marching competition and her encouragement not to give up in the face of challenges still helps them to deal with difficult situations in life. Puan Shamsiah Ahmad is honoured for her creative method in teaching History by drawing an outline of the Asian continent on the board, a style that went a long way to help students understand the lesson by recollection through visualization. Some of the recipes that Home Science teacher, Mrs Yoke Wah Parthasarathy, used to guide them in baking rock buns and cakes are still being used in their own homes today. 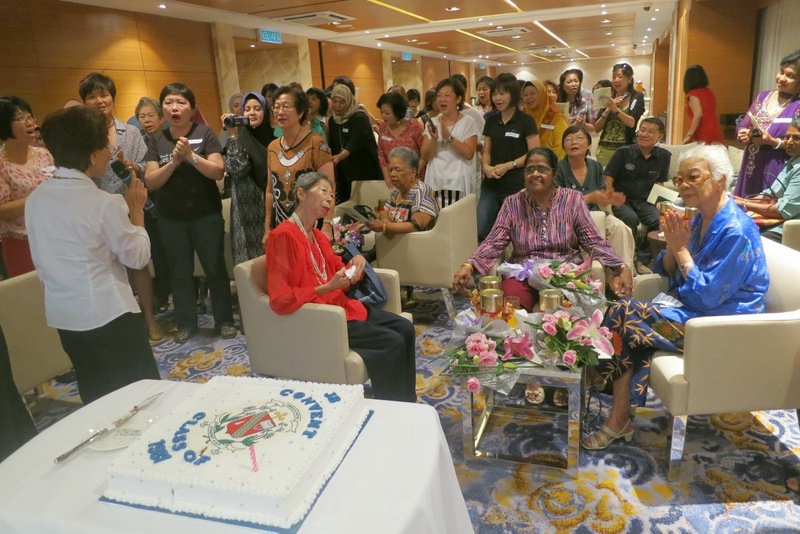 Two former office staff, Doris John and Letchumy Muthusami, were honoured for their devoted work in the school office while the “rose among the thorns,” En Zulkipli Mahmud, their former Bahasa Malaysia teacher is admired for always setting the bar on how an elegant gentleman should behave. Antoinette Oliveiro who earned the moniker “Netball Mummy” for her commitment to coaching the school’s successful netball team is quoted as once having said, “You can take a girl out of the Convent but you can’t take the Convent out of the girl,” and the class of 1981 was on their feet, clapping hard to honour their former teachers with a standing ovation. A commemorative cake designed with the original school crest was made in memory of the Irish nuns, brave women who believed in educating other women and travelled across the oceans to educate students in Convent JB. The cake was cut by Amy Wong, assisted by Zharina Anuar who represented the class of 1981 and the spirit of camaraderie was strong as everyone joined in to sing the school song. 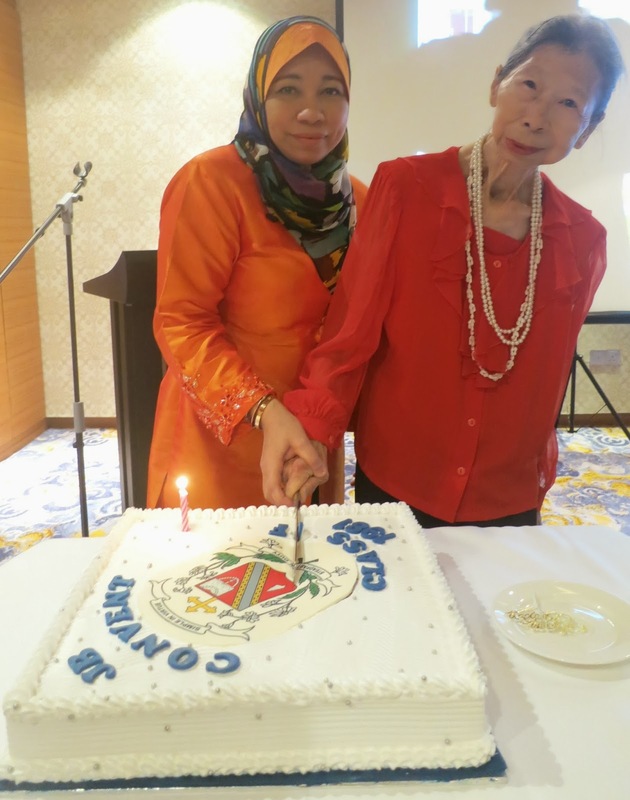 Also present was Ramlah Mohamed, who in 1955 was the first Malay lady to run a Convent school in Malaya, a former principal of Convent JB Primary School and dear friend of the late Sister Xavier (1919 – 2008), an Irish nun who is synonymous with Convent JB.